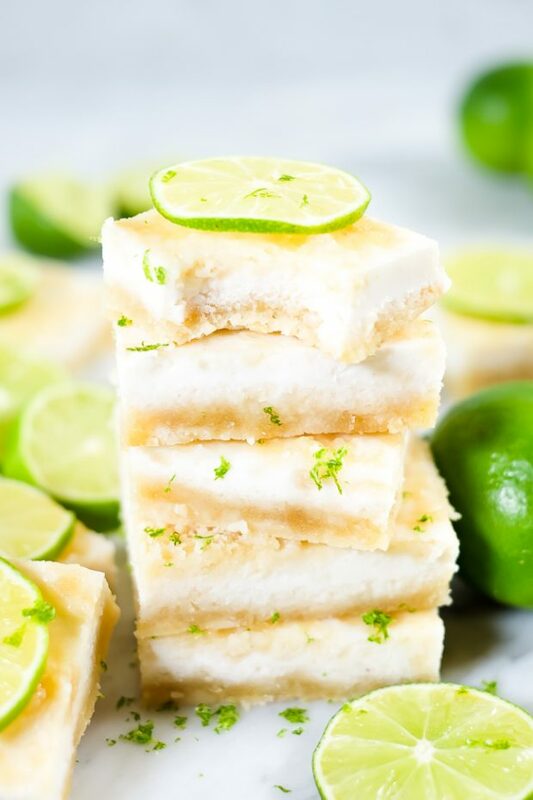 These simple Paleo Lime Bars are the perfect healthy sweet pick-me-up for hot summer days! The best thing? 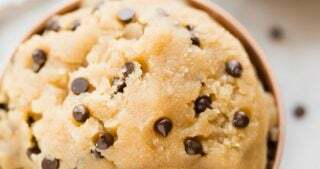 They are gluten-free, dairy-free and also refined sugar-free. Having Justin and Erica from Real Simple Good come over with these gorgeous Paleo Lime Bars literally made my week! 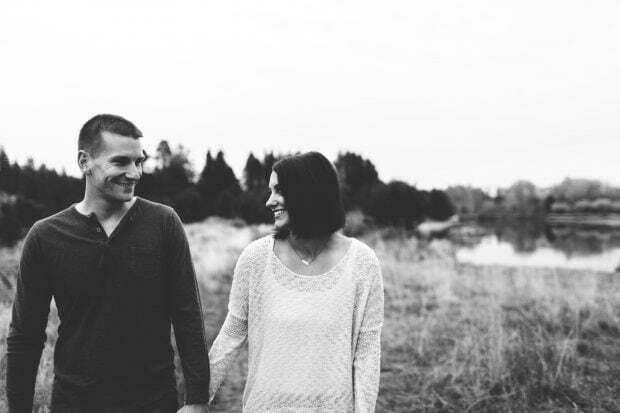 They are a married couple that walked away from their accountant jobs to turn their Paleo blog into a career. Inspiring, right? 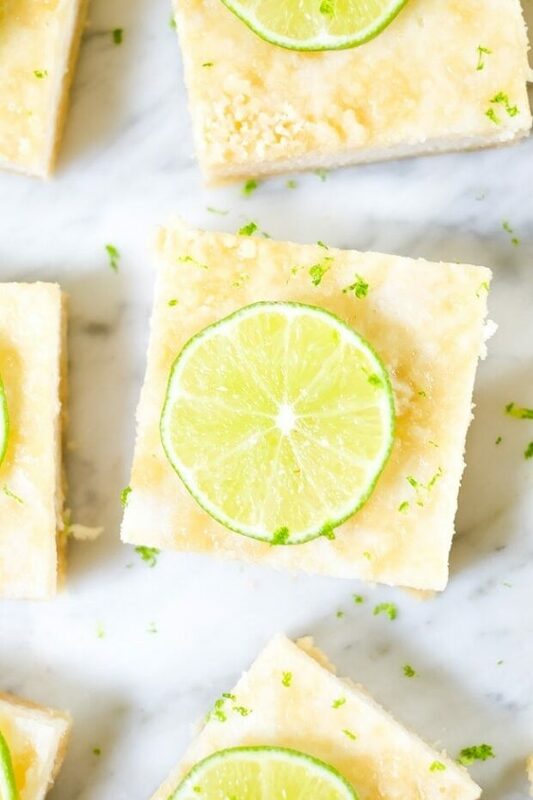 And don’t these tasty lime bars look simply divine? I cannot wait to try the recipe myself. – Cheryl. Hi there! 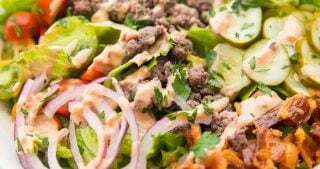 We are Justin + Erica from the Paleo and Whole30 food blog Real Simple Good! 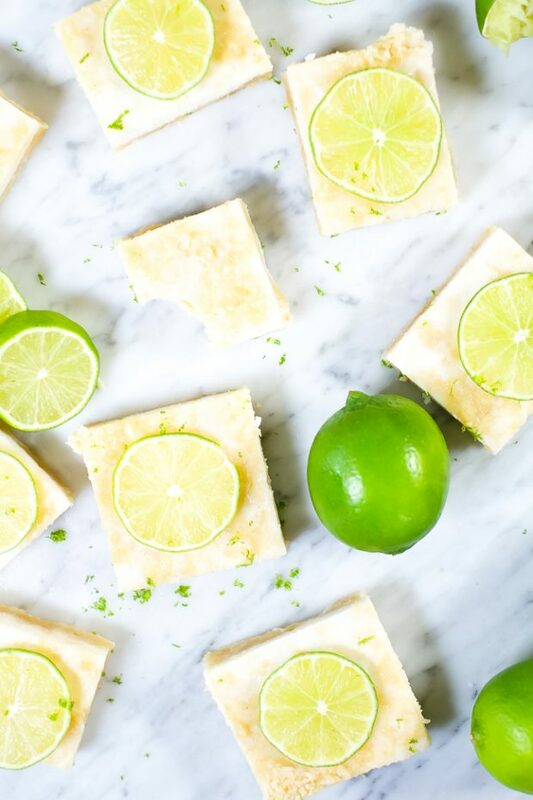 Here’s a quick intro about us before we dive into these tasty Paleo lime bars that are a family friendly treat made with real food ingredients! We are a husband and wife duo who tag teams our blog, business and life, really. 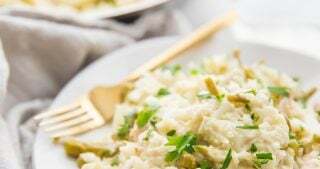 While Justin and I started eating Paleo for different reasons, the idea of eating real food just really resonated and felt good for the both of us. 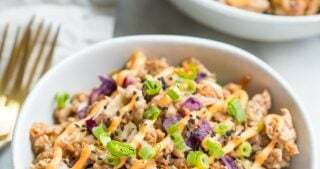 So, we started cooking more and cataloging our recipes on what became our website Real Simple Good. 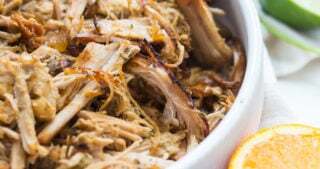 We focus on Paleo and Whole30 recipes and meal plans and also tips for non-toxic living. In our former lives before turning our blog into a business, Justin and I were both CPA’s (certified public accountants) – yeah I know….SO BORING right?! We both felt like we had more to give to the world than punching out spreadsheets and talking about last year’s financial results. To top it all off, I was diagnosed with the autoimmune disease Multiple Sclerosis (MS) over a decade ago and really needed to get out of the grind and stressful work environment our accounting jobs demanded. So…we took a crazy bold step, leap of faith (whatever you want to call it) and quit our jobs, moved to a smaller town and began to focus on our blog and how we could help people live more vibrantly. You can learn more about Justin and I here, and more about my journey with MS here. 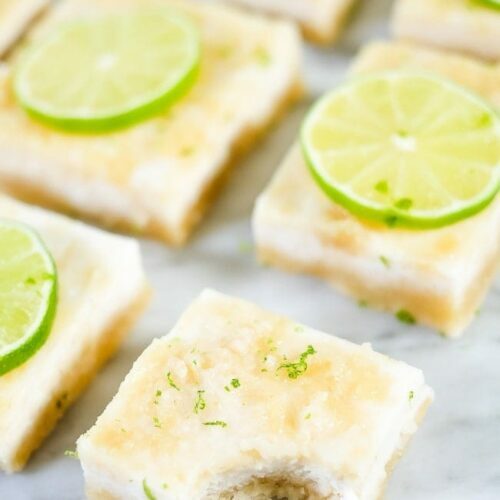 We hope these Paleo lime bars become a new favorite summer treat recipe for you and your family! You can follow along with us on social media at the links below for all our latest posts and recipe videos. 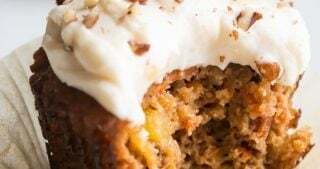 It would be a lie to say that I’ve given up treats since going Paleo because I haven’t, but the sweets and treats I enjoy now are way different than they were before. Most of the treats I indulge in now are made at home where I focus on using real food ingredients and natural sweeteners, like the pure maple syrup used in these Paleo lime bars. I also try to add in gut healing ingredients like gelatin or collagen to my treats. 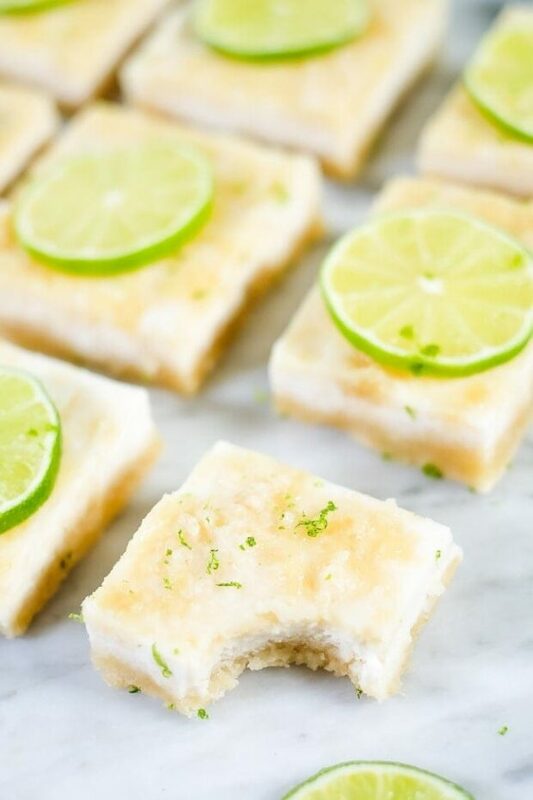 So, the treats I make now, like these lime bars, are way healthier and way more beneficial for your body as a whole. These bars are Gluten-Free, Dairy-Free and also Refined Sugar-Free! Gelatin and collagen great supplements to add to your daily life! They are both great for healing your gut and for having healthy hair, skin and nails – among other benefits. 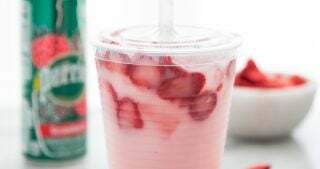 The difference between gelatin and collagen is that collagen is water soluble. That means that it blends right into whatever you mix it with and you really won’t even know it’s in the finished product. Gelatin is what gives Jell-O it’s jiggly texture, somewhere between free-flowing and solid. We used gelatin in these lime bars and played with the amount to create a semi-solid/semi-creamy lime filling for the bars. It starts out totally liquid and then firms up a bit in the fridge. You can adjust the amount of gelatin you use until the texture is just right for you, too! 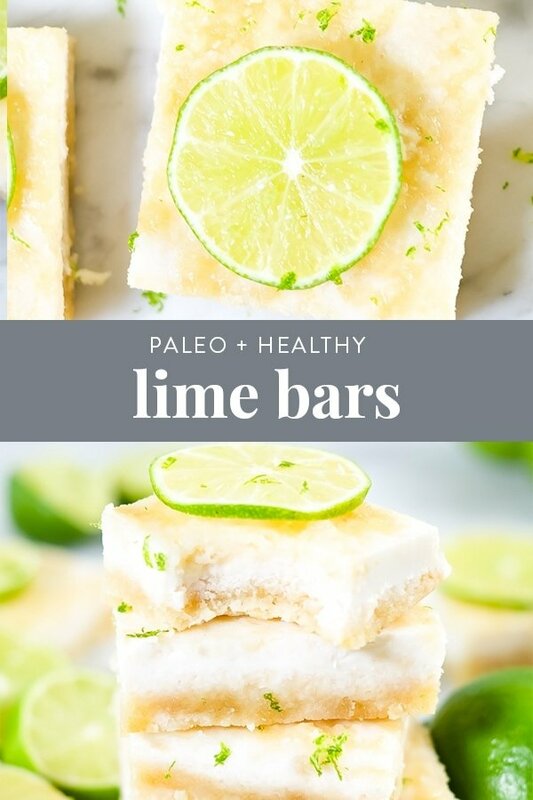 Give These Paleo Lime Bars A Try! 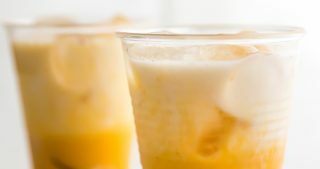 Ready for some fun, yet healthy summer treats? Go ahead and make these Paleo lime bars! Let us know how it goes by leaving a comment below. Also, take a photo and tag us on Instagram @realsimplegood and @40aprons, so we can check it out! Give us a follow on Instagram as well if you don’t already! Preheat oven to 350° Fahrenheit and line a 8×8″ square baking dish with parchment paper. Set aside. In a medium mixing bowl, combine all of the crust/crumble ingredients. 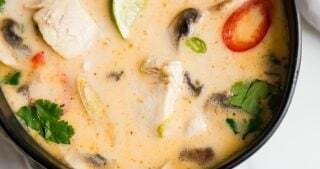 Mix with a spoon until the coconut oil is pretty well mixed in, but the mixture remains crumbly. Place 3/4 of the mixture in the parchment lined baking dish and spread out and into the bottom of the pan to form the crust. Place in the oven and bake for 12 or so minutes. The edges will start to get a little golden brown. While the crust is baking, make the lime filling. 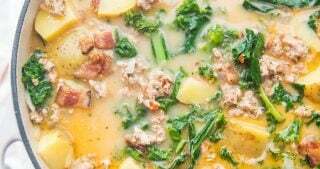 In a small saucepan over medium-low heat, combine all of the filling ingredients except for the water and gelatin. In a small bowl, mix warm water and gelatin and then pour into saucepan with the rest of the filling ingredients. Whisk to combine everything and remove from heat. Once the crust is done, remove from oven and let cool for about 5 minutes. Pour the lime filling over the crust and sprinkle the rest of the crust/crumble over the top. It will end up sinking in a bit and create a sort of marbled look to bars once they’re done. Transfer pan to the fridge or freezer until set. Once set, cut into 9 bars and serve! Enjoy! You can sprinkle some lime zest and/or add lime rounds on top! These look so good! Just ordered some Gelatin from Perfect Supplements- I will HAVE to make these-thanks!